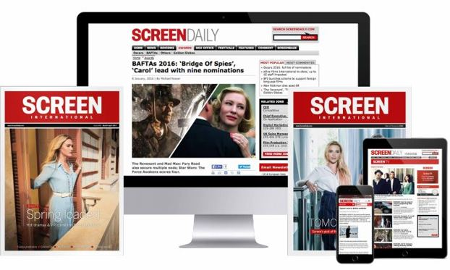 Screenbase’s brand new, revamped site features a host of recently updated and new projects including an adaptation of Henning Mankell’s The Troubled Man and UK-Danish co-production Greenland Time. Kurt Wallander is taken back to the Cold War when a retired commander suddenly disappears in The Troubled Man, which is currently shooting, with Agneta Fagerström-Olsson directing the thriller. Krister Henriksson takes on the role of Wallander again with Charlotta Jonsson, Peter Andersson, Steen Ljunggren and Marika Lindström also among the cast. The $14.1m German-Swedish collaboration is produced by Yellow Bird, TV channel TV4 as well as Germany’s ARD Degeto. Svensk will release the film in Sweden early next year. Catherine Linstrum and David Newman co-scripted and will jointly direct the thriller Greenland Time, which centres on a woman who seeks revenge on the man who killed her daughter in a hit-and-run accident. Vera Farmiga has been confirmed to star. Denmark’s Zentropa Productions and the UK’s Sigma Films are co-producing with financial support coming from the Film Agency For Wales as well as the British Film Institute. Shooting is scheduled to get underway in either October or November.